By Peter Anderson 12 Comments - The content of this website often contains affiliate links and I may be compensated if you buy through those links (at no cost to you!). Learn more about how we make money. Last edited February 26, 2011 . When The Obama Health Care law passed this year few people actually knew what was fully contained within the bill's thousands of pages. Only now after the law has been passed are we finding out the details about some of the provisions within the law that could affect us. A lot of people aren't happy about what they're finding. One of the provisions that has been almost universally spurned by Republicans and Democrats alike is a new requirement that could affect nearly 38 million businesses, including many entrepreneurs and freelancers like myself. The requirement? They must all file tax forms for every vendor that sells them more than $600 in goods. Now that the tax provision has come to light and has become extremely unpopular, both parties have said they would like to repeal the provision (it's an election year!). They are, however, disagreeing about how to pay for the $19 billion in tax revenue it was estimated to bring in – after all, they need that money to pay for the new health care law. 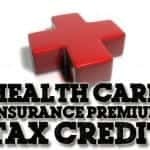 Tucked into the new health-care law is a requirement that could affect nearly 40 million businesses: They must file tax forms for every vendor that sells them more than $600 in goods. The goal is to prevent vendors from underreporting their income to the Internal Revenue Service. The government estimates the filing requirement will bring in $19 billion over the next decade. Business groups say it will swamp their members in paperwork, and Congress is listening. Democrats and Republicans want to repeal it, but getting them to work together on the issue is proving difficult in an election year. The House rejected a bill Friday that would have repealed the provision. The two parties disagreed on how to make up the lost revenue. Democrats blamed Republicans for Friday's failure. “Despite all of their rhetoric about the need to eliminate this reporting requirement, Republicans walked away from small businesses when it mattered most,” said Rep. Sander Levin (D-Mich.), chairman of the House Ways and Means Committee. So once again, we enter the loop of blame – each party blaming the other for the failure to repeal it thus far. I guess it really comes down to a fundamental difference in strategy and priorities. One party wants to cut, while the other wants to increase taxes. Question is – will they be able to get something figured out? If it doesn't get repealed it will become law, and many have said it will be a paperwork nightmare for small business. Businesses already must file Form 1099s with the IRS when they purchase more than $600 in services from a vendor in a year. The new provision would extend the requirement to the purchase of goods, starting in 2012. The requirement would hit about 38 million businesses, charities and tax-exempt organizations, many of them small businesses already complaining of too much government paperwork, according to a recent report by the National Taxpayer Advocate. It would also create enough extra paperwork that it could strain the IRS itself, wrote the advocate, an independent watchdog within the IRS. Businesses that repeatedly make small purchases from the same vendor would have to keep good records in case the total exceeded $600 in a year. Companies would also have to get vendors' tax identification numbers to include in the filings. As if the IRS and tax paperwork wasn't already extremely bloated, this promises to only add to the reporting and paperwork. I for one hope that they get the law repealed as I can't see it being a good thing. In fact I can see how it would only be a millstone around the neck of small business at a time when that is exactly what we don't need. What are your thoughts on the new reporting requirements? Do you own a small business or are you a freelancer – and would it affect you? Tell us your thoughts in the comments. Seems like if the government is going to add all this additional paperwork, it should give a tax break to those companies affected by it. Or providing tax credits to those using financial services to complete them. Being that this law would affect me I am really hoping that it gets repealed. It always amazes me how a law like this gets put into a health care bill? I have a feeling that a lot of small businesses are just not going to take these deductions so that don’t have to send out the 1099. Can you imagine how small businesses are going to be sending 1099s to places like Staples and Wal-Mart? The only people that would make out from this law would be tax professionals and accountants who would be doing the extra work for the companies. Definitely needs to be repealed and leave small businesses alone! I hope all those geniuses that voted for Obama are happy now. What’s the Democrat justification for this joke of a provision? I don;t own a small business, but I have heard NOTHING good about the new health care legislation since it has passed – particularly from business owners. This post only confirms what I have been hearing! I don’t like what’s coming down the road…. I certainly hope that they repeal this! We own a small business, and all this will do is add to our accounting costs. This health care law has already delivered a painful blow to our monthly expenses – I just got the letter from our insurance broker that premiums are going to go up 31% because of the new law. Part of it is the insurance companies bracing themselves for a potential doomsday when the Federal law is enacted, and part of it is that the state of NY has adopted some parts of this law and put them into place immediately. From what I can see, and what I have experienced so far, this law has done nothing but hurt our small business. Yeah, go figure, that’s the thing that nobody talks about with the health care law – the fact that it will cause health care costs to go up for most people and small businesses. So add this reporting requirement as one more straw on that proverbial camel’s back. Speaking of the USPS, shouldn’t this be called the USPS bailout provision? What is 1 billion times the cost of a stamp? Suppose Vonage refuses to give me a W9, I am legally required to withhold 30% of my payments? What happens when my phone gets turned off? Can I sue them? Who pays the legal bills? So ridiculous. If I were president I would veto any bill over 100 pages. These “sweeping” bills are never a good idea, too much crap. We need politicians who aren’t so power hungry who’ll cut the fat. our health care system was broken before, and in need of reform. I had high hopes for somwthing that would really make care affordable for everyone. If the government is imnipotent why don’t they put a cap on these ridiculous increases we’re seeing? A lot of the funding would be covered if the people who don”t want to buy insurance had to pay up front for care and services. Also closer monitering for fraud in billing. I don’t have the answers, but even I’m smart enough to see that this won’t work, and will only make crooks out of a lot of honest people. “NO” party and Democrats alike need to get on the same page and rescue us from this paperwork madness. I came across your article and, as a small business owner and consultant to businesses, I disagree. No arguement that the 1099 filing requirements should be eliminated, but the overall plan for improving health insurance is very reasonable. It relies on the private insurance market and provides exchanges to give more alternatives to small businesses and the self-employed. There are also tax breaks for small businesses that provide insurance to their employees. It’s not perfect, but for all of the compaints, I didn’t see any better plans being proposed. You’ve pointed out the nefarious, underhanded plot behind the whole thing. Why do they insist on continually taxing the little guy more and more and more, while they let the larger corporations get away with margins of error on their taxes that should be criminal? The insurance companies themselves each own hundreds of corporations that they funnel your hard-earned money into to make billions from. On a multi-billion dollar account, they are allowed millions and sometimes billions in the margin of error (they can under-report by a million to billions depending on the account). Meanwhile, anything we do over $600 we have to report? Isn’t this really another step in the governments endless quest to account for every one of our little-man’s dollars while giving massive allowances to big business? Any attached tax should have been ONLY FOR INSURANCE COMPANIES and not for individuals and small businesses. And for the truly down-trodden having to take, or needing to take, the occasional under-the-table-job, what of them? Obviously this is what they are trying to eliminate. This isn’t about healthcare, it’s about taxes. As usual. Next Post: Mortgage Forgiveness For Underwater Homeowners: Will Obama Forgive Billions Of Dollars In Mortgage Principal?